Part 8 of a year-long series, longtime cannabis law reform advocate and historian Allen St. Pierre examines monthly for www.CannabisBusinessExecutive.com the last fifty years of cannabis prohibition and the public advocacy efforts in America to bring about the ongoing and inescapable socio-political changes underway first at the state, and soon, federal level regarding cannabis policy. The 1996-2000 period for cannabis law reformers can be regarded as the most productive-to-date marked by the successful passage of five pro-reform state initiatives by century’s end. Led by Ethan Nadelmann and fueled by a billionaire triumvirate of George Soros, Peter Lewis and John Sperling, the Drug Policy Alliance (a combination of the Washington, DC-based Drug Policy Foundation and the New York City-based Lindesmith Center) forged numerous state initiative victories where medical marijuana was on the ballot, mainly on the west coast, and maybe more important than the institutional prohibition-shattering initial electoral victories were drug policy reformers’ ability to defend and advance a slate of voter initiatives from legal challenges brought forward by recalcitrant state and federal concerns. 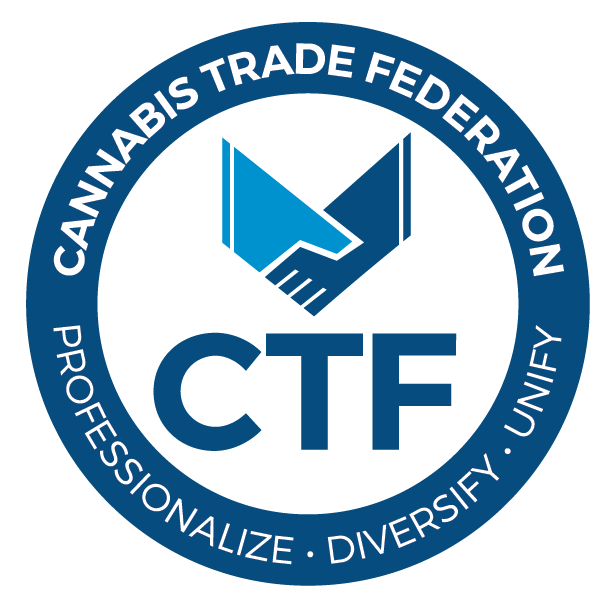 During this epoch of cannabis law reform, numerous pro-reform groups were founded to aid and abet the three reform groups that had been working in concert for the last decade (NORML, Drug Policy Foundation and Alliance for Cannabis Therapeutics). Pro-reform organization were founded such as Americans for Safe Access, Common Sense for Drug Policy, Marijuana Policy Project, November Coalition, Students for Sensible Drug Policy and VoteHemp. In 1997, after settling a tax case filed against it by the Internal Revenue Service, NORML created the NORML Foundation (501c3). After the remarkable success reformers experienced passing California’s pro-medical marijuana ballot initiative in 1996, the Drug Policy Alliance (DPA) set about to pass a pro reform initiative first in Washington State in 1997, where, combining the issues of decriminalizing marijuana possession for adults (not legalizing) and allowing medical access, voters rejected Initiative 673 (which had gathered over 245,000 signatures to place the measure on the ballot): 60.4%-39.6%. After recognizing the need for ‘decoupling’ issues related to marijuana policy reform, 1998 became a banner year for Nadelmann-led reformers with the success of single-issue voter initiatives relating to cannabis. Not only did reformers have unprecedented wins at the ballots in Alaska, Nevada, Oregon and Washington State on access to medical cannabis initiatives, maybe, more importantly, a right wing effort to re-start a possible third ‘War on Drugs’ declaration from the federal government was roundly thwarted at the polls when the voters of Oregon rejected Measure 57, 66.4%-33.5%—an attempt to re-criminalize the possession of cannabis (the anti-marijuana group’s, and their construction and drug testing industry supporters’ thinking was that, based on what had happened two years previously in CA with ‘legalizers’’ medical marijuana initiative passing handily, that Oregon being the first state to decriminalize marijuana possession in 1973, should therefore be the first state to regress to prior criminal statutes making cannabis possession once again a felony). The cannabis-centric drug policy reform initiatives wracked up an impress string of electoral victories from 1998-2000 that forever cemented the serious-minded and committed nature of reformers to, finally, prevail in the most important public polling of all—election poll results. While in the coming years reformers will continue to see steady progress in almost each and every election post 1997, however, the years of 1998 and 2000, are remarkably fruitful for marijuana policy reform organizations and their supporters, and will not be replicated again for over a decade. In October 1998 a class action lawsuit involving 166 plaintiffs consisting of aggrieved medical cannabis patients from 46 states was filed in Philadelphia, Kuromiya vs. US (less than a year later the lawsuit, after initially being certified by one federal judge, was rejected by a different judge). While marijuana law reformers were taking it to prohibitionists at the ballot box from 1996-2000, these publically-approved policy reforms not only didn’t inform elected policymakers about the public’s appetite for change—and reformers’ ability to deliver them—anti-reform politicians from President Bill Clinton to California Attorney General Dan Lundgren to Assistant Attorney General Eric Holder to ‘Drug Czar’ Barry McCaffrey instead proposed harsher criminal penalties and enhanced enforcement. The anti-marijuana rhetoric-of-the-day manifested itself into a massively escalating annual arrest rate for cannabis-only related offenses that affected every state. In otherwise liberal locations like New York City, where the annual arrest rate for the five boroughs was around 2,000, cannabis arrests soared under Mayor Rudolph Giuliani to upwards of 55,000 by the late 1990s (90% for possession; 90% minority). By the late 1990s most public opposition to cannabis law reform is derived from either the government or non-profit organizations largely funded by the government. Which, in time, exposes a naked truth about pot prohibition: nobody really supported enforcing marijuana laws except the government agencies who’d come to rely on Reefer Madness as dogma and taxpayer money as an endless pot of propaganda. NORML successfully filed a lawsuit in 2000 that compelled a federal administrative judge to rule against the Office of National Drug Control for it’s secret funding of anti-marijuana propaganda that was regularly (and secretly) placed in popular national TV programming, costing the taxpayers tens of millions of dollars annually. A cataclysmic world event soon early in the next century would force even the most anti-marijuana zealots in government to yield to far more obvious and important public policy priorities meant to maintain public safety and well being. The major challenges that confronted reformers in the late 1990s were myriad, notably having to defend winning ballot initiatives against oppositional ‘sore loser’ types, such as district attorneys, sheriffs and federal enforcement offices (ie, DEA). It was one thing for reformers to raise the necessary funding to place these marijuana policy reform questions on binding voter ballots and promote them to victory, it was another altogether to get the funding necessary to sustain quality legal challenges in court to sustain and uphold the numerous electoral victories gained from 1996-2000. Also, while much in popular culture was reflecting a growing popularity with both marijuana and anti-prohibition, the ‘mainstream’ media were just about to be largely toppled by the Internet and it’s wide array of opinions and news sourcing. A major newspaper (like the Washington Postor New York Times) would publish a Reefer Madness opinion piece from a police official or a rehab clinic owner and there would be little to no letters to the editor published in response (when in fact dozens or hundreds of well written letters to the editor were sent to the newspaper for publication). However, in the nascent Internet age, an unpublished opinion piece, for example, could be published online to a specific community, such as drug policy reformers, soliciting hundreds of often well-researched and informative replies; published for all to see. Lastly, despite great electoral victories enjoyed by marijuana policy reformers from 1996-2000, most elected policy makers severely underestimated public support for cannabis law reform in all it’s forms: decriminalization, medical access, industrial hemp and legalization. It will be nearly a dozen years before major political figures at the state and federal level come to recognize the need to act on ending some or all aspects of cannabis prohibition. Under bipartisan support from Congress and in statehouses across the nation, rather than listen to the voters’ exercising their displeasure with pot prohibition, they instead ratchet up cannabis prohibition enforcement, the promotion of ‘voodoo’ science justifying prohibition in the eyes of the government and doubling-down on a new generation of anti-marijuana propaganda ad campaigns. Over 590,000 cannabis-only arrests occurred in 1997; 640,000 in 1998; 690,000 in 1999 before a slight retreat back to 670,000 in 2000. While cannabis law reformers were winning initiative after initiative at the ballot boxes, approximately over 2.5 million cannabis consumers were arrested from 1997-2000, 90% for possession only; 95% arrests at the local and state level. Interestingly right after the big electoral victory in America’s largest state in 1996, and in five other states within a four-year period, turning the government’s anti-marijuana arguments on their heads, public polling on the question of whether or not marijuana should be legalized or not, hit a low with few national surveys conducted by the major polling organizations (i.e., Gallup, Pew, AP, etc…). However, despite the dearth of polling between 1995-2000, in the present day reviewing five decades of public polling on marijuana legalization circa 1965-current, the clear inflection point for the public supporting an end to marijuana prohibition can be traced to 1996, post California voters approving Prop 215, when approximately 25% of those surveyed favored legalization. Subsequently, four short years later, the public survey data supporting legalization jumped to 31% in 2000: A then all time high of public support for ending cannabis prohibition. Cannabis policy reformers’ efforts to legalize cannabis was greatly enhanced by the 1990s strategy of pursuing medical access as compared to legalization itself or even the half measure of decriminalization. Medical cannabis, or maybe more specifically the efforts to purchase the herbal drug illegally, despite the federal government’s efforts in mainstream media to seed popular culture with anti-marijuana propaganda, became the laugh line in numerous popular TV shows and movies in the late 1990s. If a comedic portrayal of the compassionate use of medical marijuana by a middle age female broadcaster on TV was troubling for the narcocracy, one can only imagine both the tumult and profound feeling of losing what was already tenuous public support for pot prohibition when the Fox Network released the prime time TV show That 70s Show, which followed the life of five teenage friends who quite clearly enjoyed having cannabis bake sessions which were portrayed in artfully constructed scenes—leaving nothing for the imagination however. By century’s end, High Times Magazine began to produce a decade-long series of New York City-based cultural awards for both music (Doobie Awards) and movie/TV shows (Stony Awards) that highlight cannabis. Additionally, High Times regularly produced in cannabis-tolerant Amsterdam the Cannabis Cup Awards, which in time, came to solicit the best cannabis and ancillary products for both a group of selected judges (often consisting of celebrities, musicians, artists, advocates, cultivators, seed breeders and glass blowers) and participants paying an entry fee to try to divine the best of the best. At the same time in Canada, rabble rousing publisher and High Times competitor Marc Emery founded Cannabis Culture Magazine in Vancouver BC, however, unlike High Times, who limited themselves to extolling cannabis, Cannabis Cultureand Emery also directly marketed cannabis seeds for sale (which was lawful in Canada, but a significant amount of Emery’s sales were in the US, where the sale of cannabis seeds was strictly illegal at the state and federal level). Emery and Company’s are highly successful in propagating both cannabis culture and cultivation—creating the modern cannabis cultivation boom on the west coast of Canada and fostering the urban legend of ‘BC Bud’. Speaking of Canada…the extremely watchable Grass the Movie by Ron Mann was released in 1999 (partially funded by the Canadian government’s arts commission). Hempilation.II, a compilation of major musical acts performing cannabis centric tunes benefitting NORML, was released in 1998 on Capricorn Records.